Are you struggling to create Compelling Copy for your New Website? Is your New Website sitting Dormant for lack of Quality Content? Is your website Home Page copy boring? Do you need an Affordable SEO Writer on your Team? Are you looking for affordable SEO Writing Services? SEO Writer Pro is the solution to your website copywriting needs, with reasonable pricing and compelling content, available right now – at a Special Price! With costs ranging from $1250 – $7000 for just five pages of website copywriting, it’s little wonder that so many entrepreneurs fear outsourcing their website copywriting when building a new website – or making changes to the pages of an existing website. 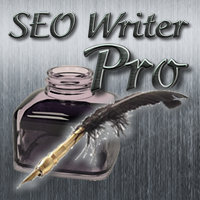 At SEO Writer Pro, we think such pricing is exorbitant – and ridiculous. Expert copywriting; that is, creating website copy that helps you tell your story in clear, well-written English, should not cost you as much, or more, than your website designer did. We offer affordable SEO articles and high quality Web Copywriting Services that you can count on to help you promote your website, improve your ranking with the search engines (SERPs), and build traffic to your website. With each package, you will also receive an original 1200-1500 word article to be used as your Free Opt-in gift, as a give away to help you build your list. To help you get your website up and running as quickly and easily as possible, we offer two Website Copywriting Packages, with fully optimized content, created exclusively for your website by a professional, affordable SEO writer. These Copywriting Special Packages are available on a limited basis. Due to time constraints, we are only able offer 10 of these packages at this time – so please – order soon, before we are too busy to help you create the compelling web content you need to make your website jump in the search results.